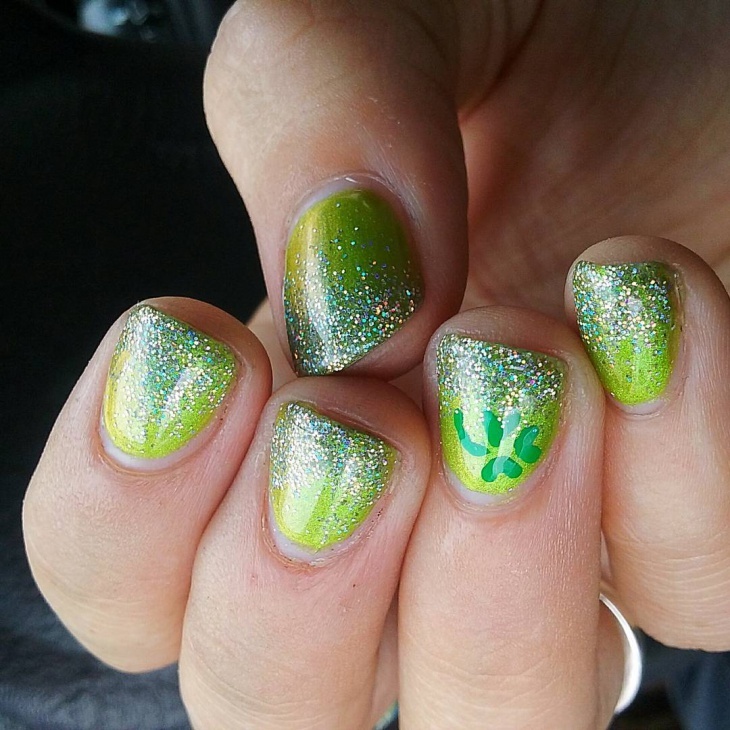 What does festivity mean to you? Well, whatever festival it may be, you need to feel that way to be in the festive mood and we are always here to help bring you in the festive mood. Happy girls are pretty girls they say and what keeps a girl happy? 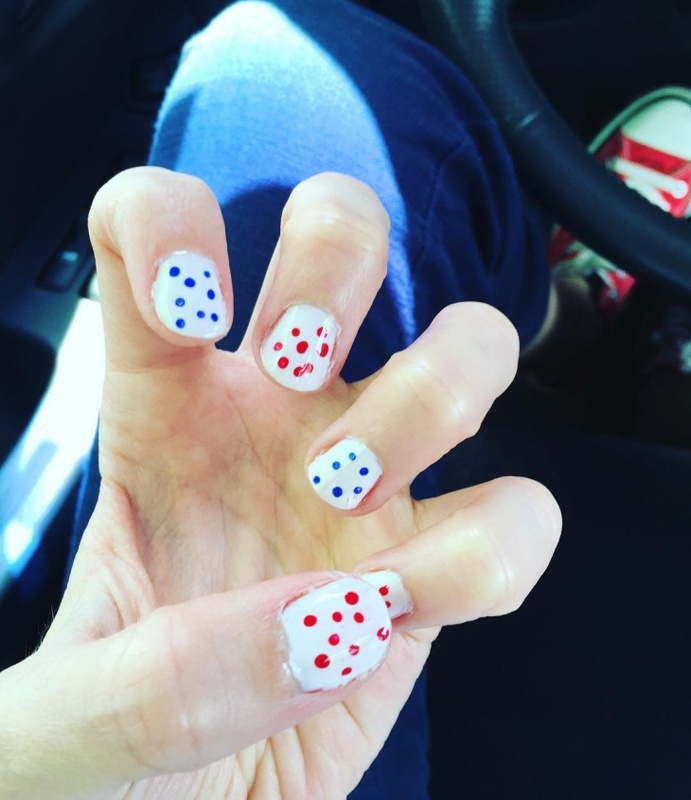 Her pretty painted nails. 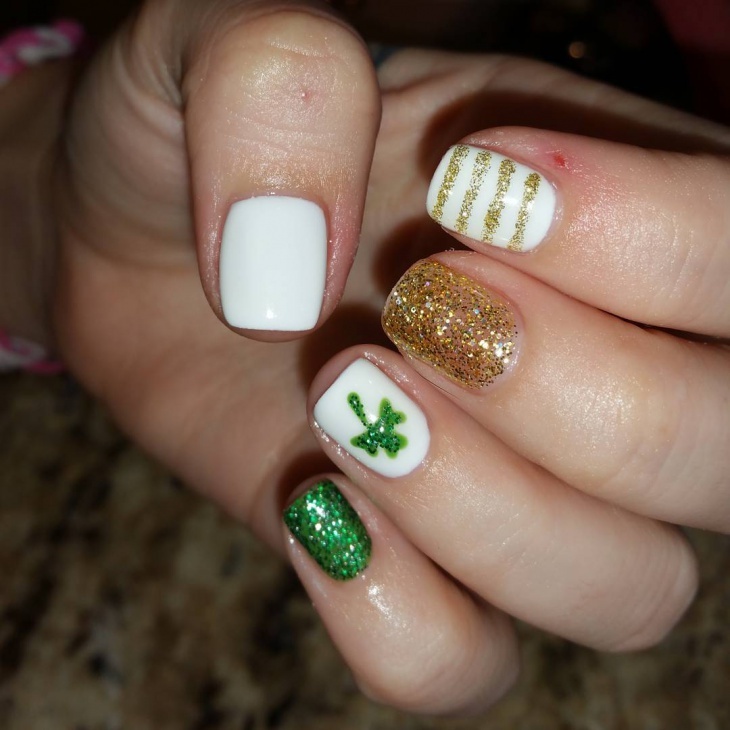 Well here are 10 different designs for different festivities. To keep it subtle is the key to most designs but subtlety alone is not enough, it needs a little bit of glamor. When a little sparkle is added to something plain, it sums to be a great combination or design just like this particular one. 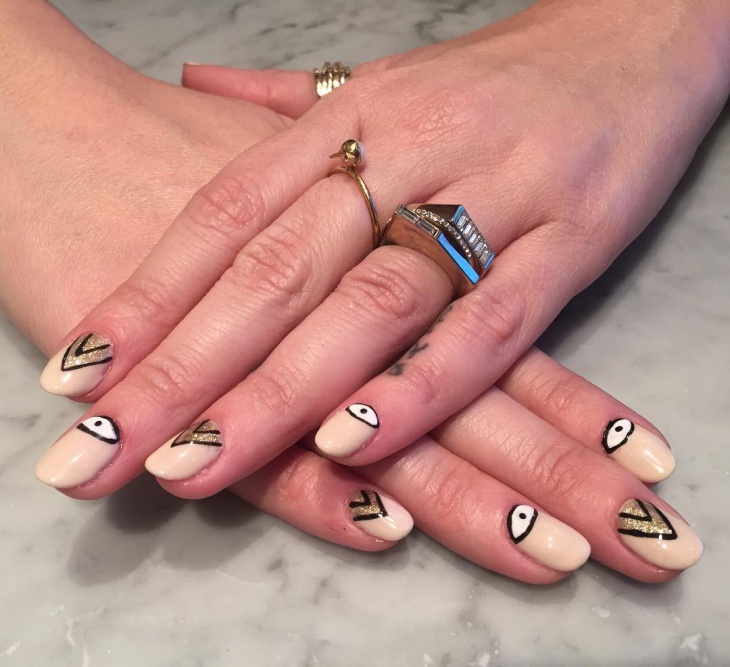 We love how the nails have been designed with gold and black and white and black. We love candy and we also love Christmas. This combination of the two is just making a great design. 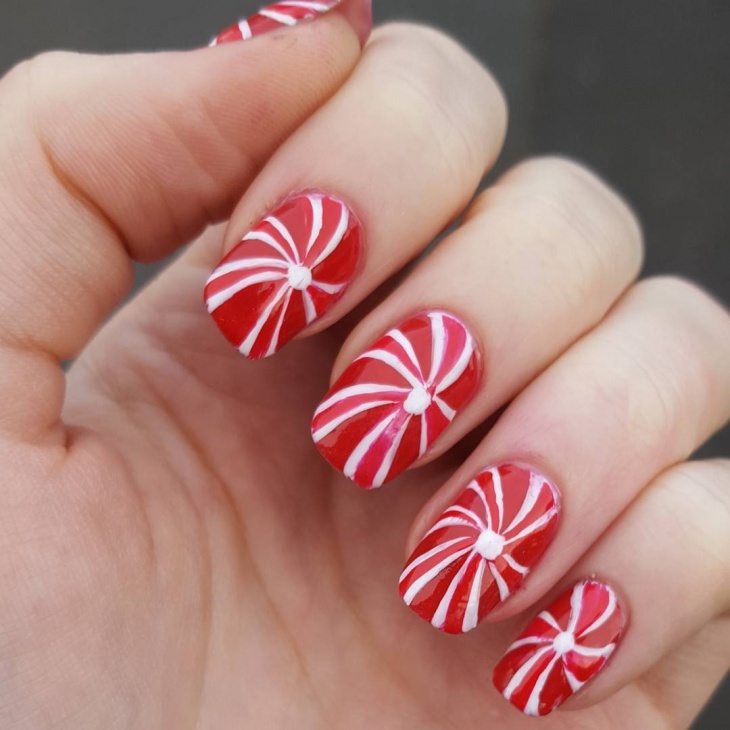 The red and white combination is a common candy design and also is the color of Christmas. 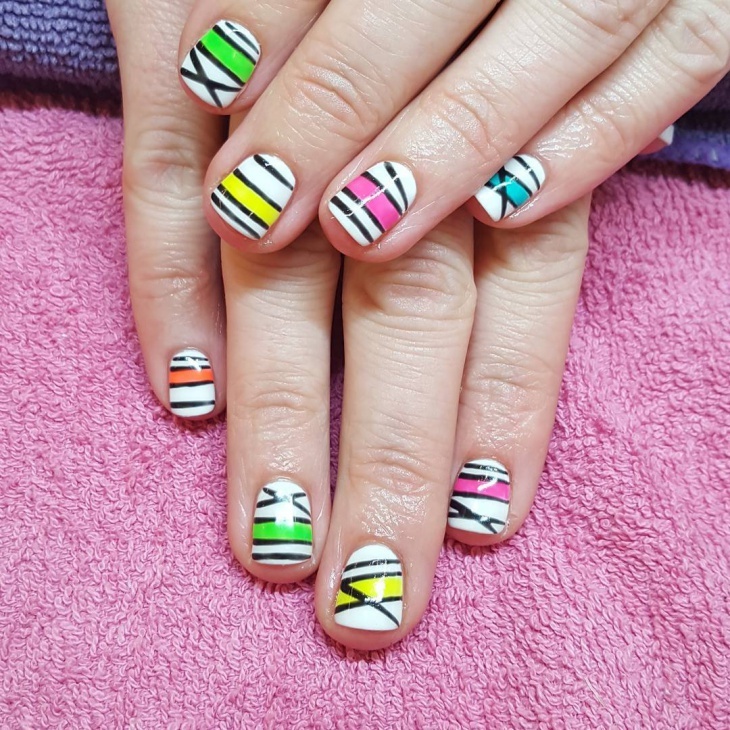 We love how neatly the design is done. This design does surely give out a very Christmasy feel. 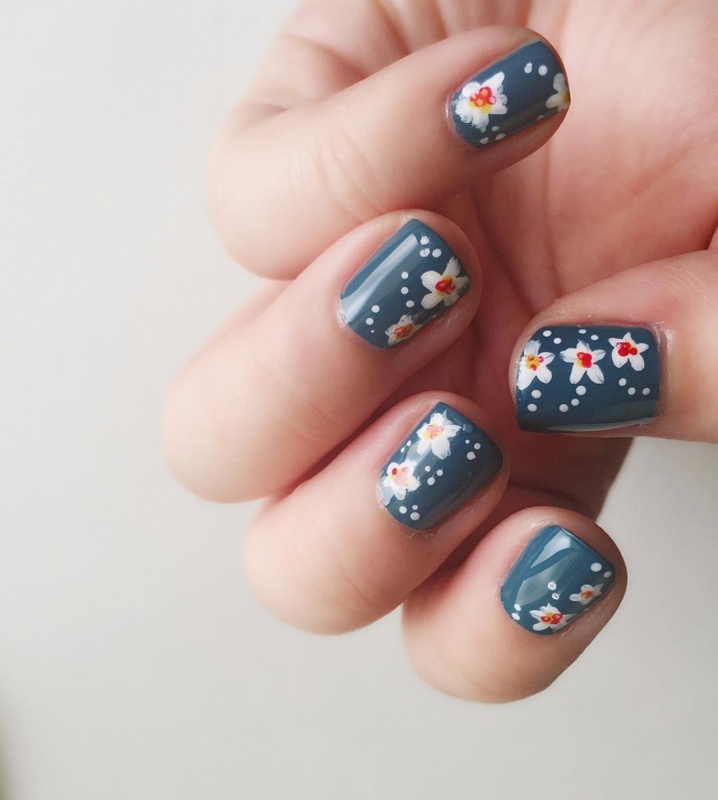 To start with, we love the dark color that is used. 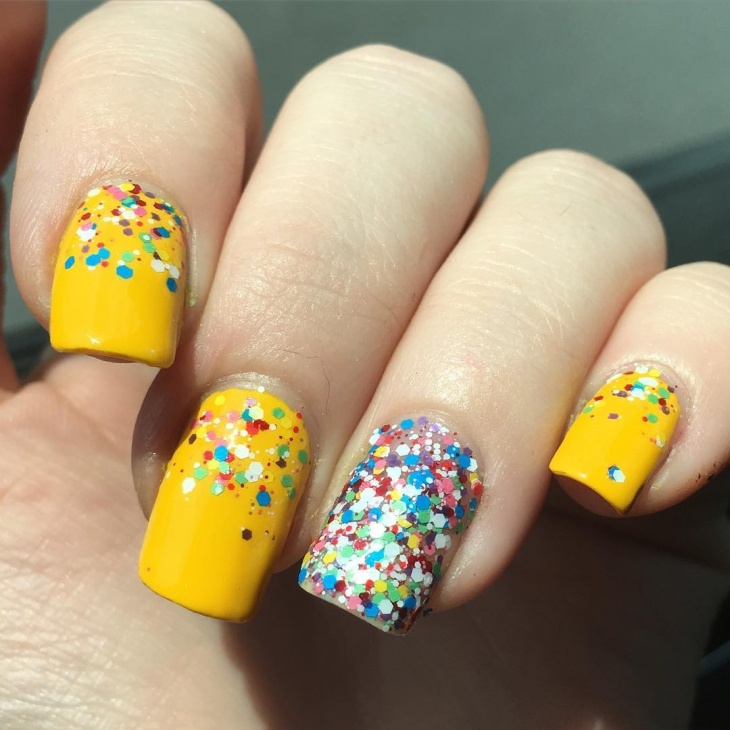 Bright colors are always happy colors and give out positive vibes. 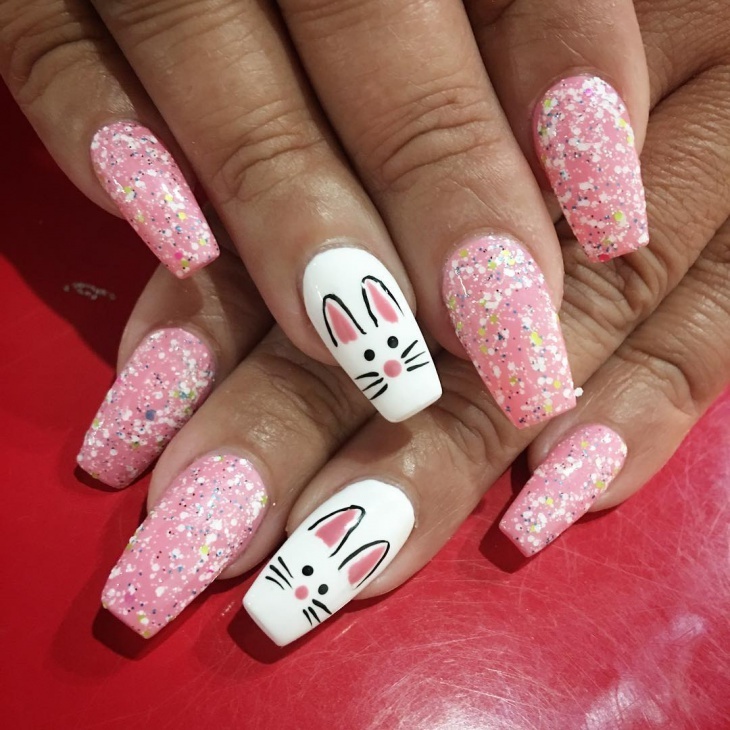 The glitter and design done on the nails is adding a Christmas or a festive touch to it and making it look gorgeous overall. If you have any parties to go for, this should do the work for you. 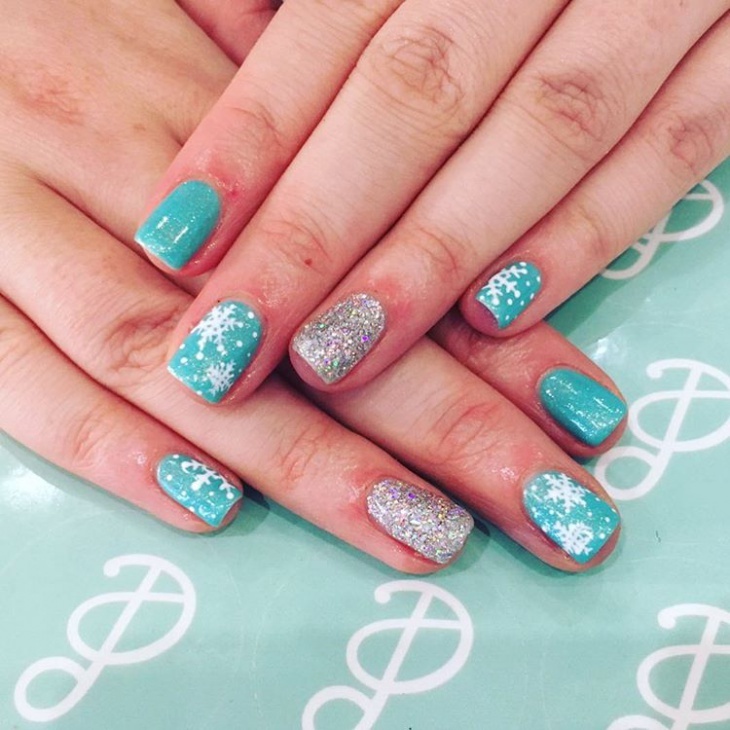 We all need a little glamor in life and this is definitely more than little. With this lovely design, you will have all eyes on you at every party you go for. This gives out a loud and yet a very festivity kind of mood. We love the designs done on it too. 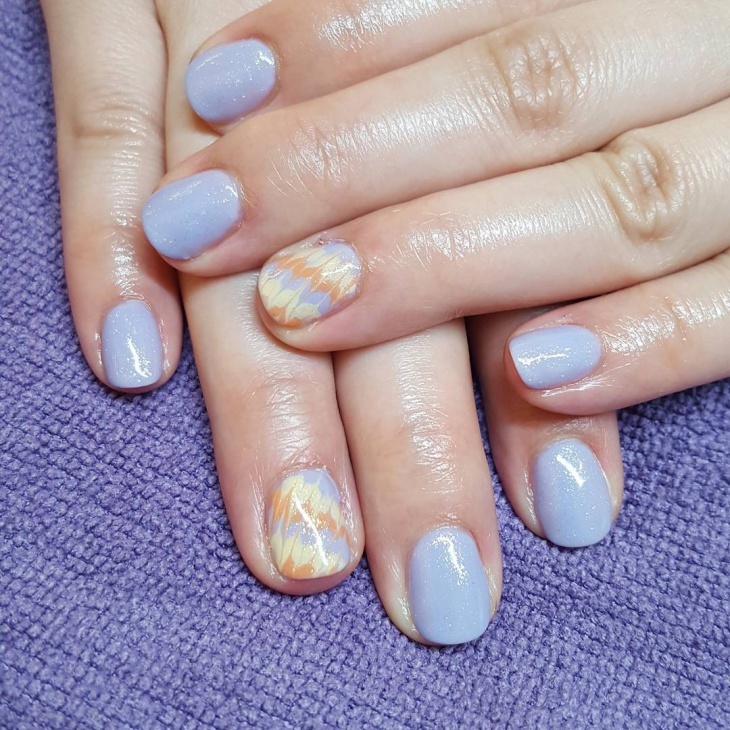 This gel design is so different and subtle. This is to bring out the festivity feel but more on a subtle note so you can wear it and carry it off on a regular basis. We love the bright colors used in this. 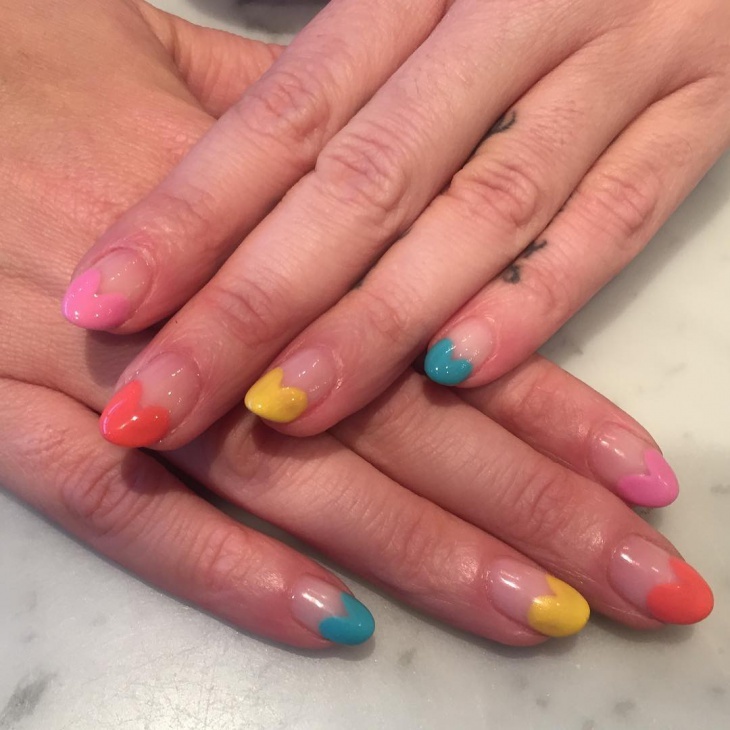 Short nails are no more a problem. You can now maintain them and make them look pretty. 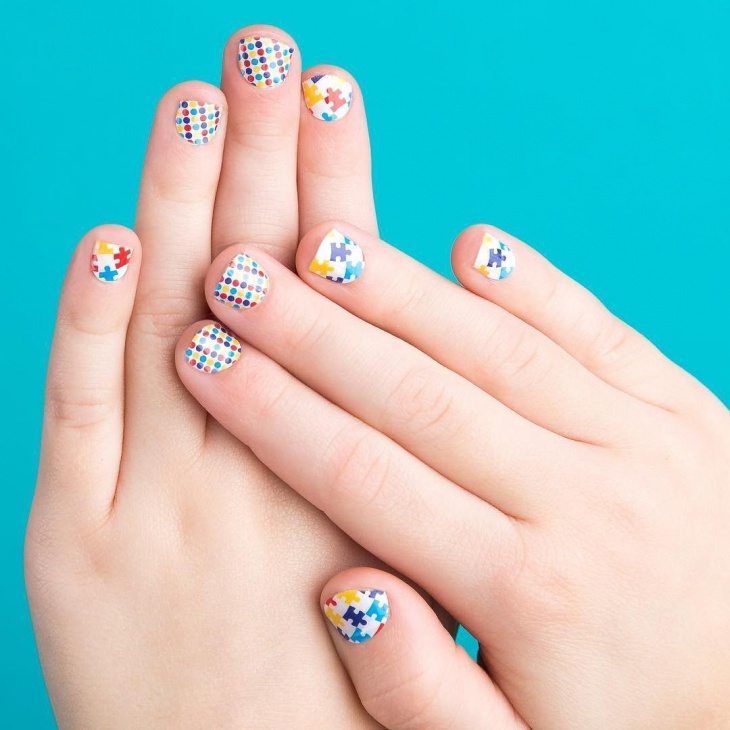 This polka dotted and autism design nail art is basically to spread awareness but apart from that we love how neatly it is done and how well thought this entire design is. 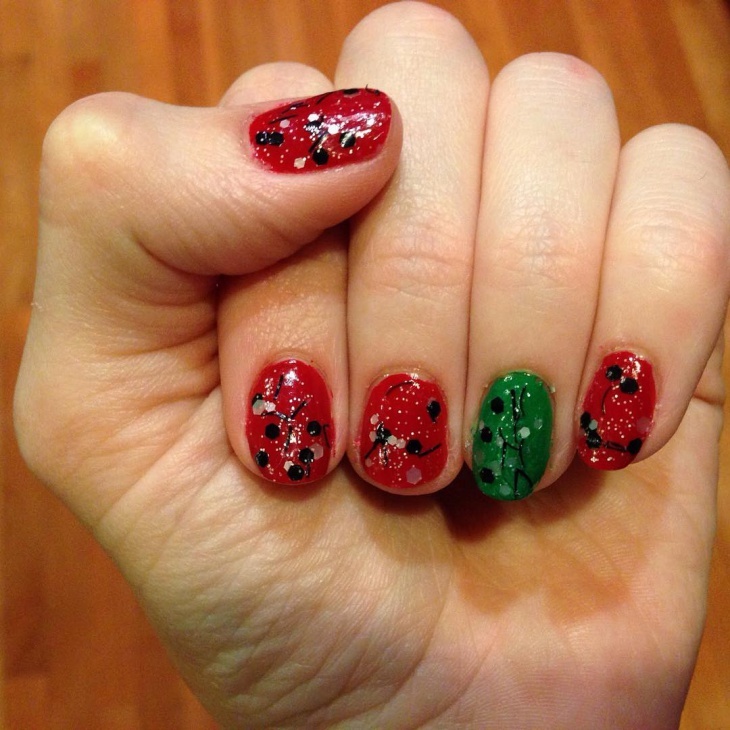 If Christmas is around the corner or not, we think you should try this design. Even if Christmas is not here, this design will give you the Christmas vibe with its red and green design. This is another beautiful and elegant design for Christmas. 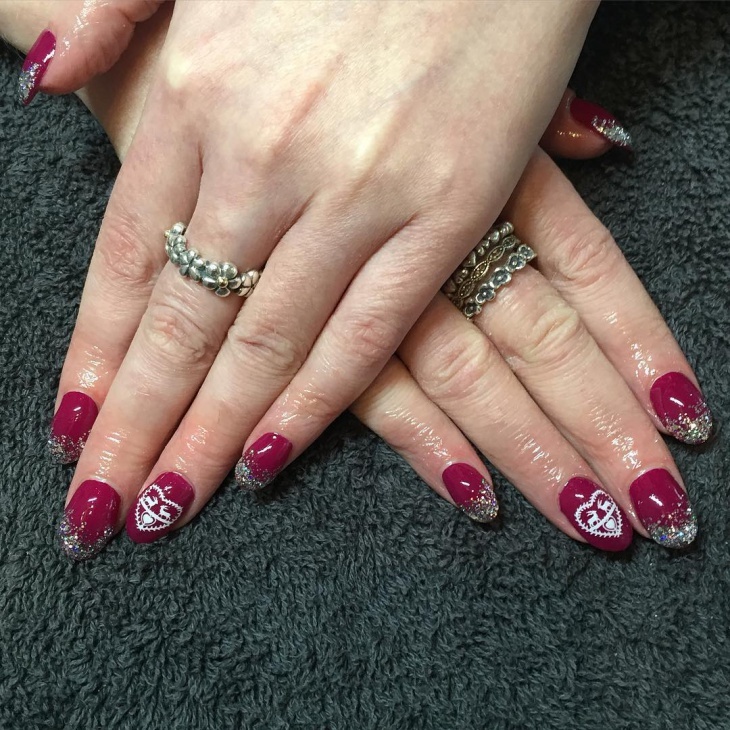 The reindeer’s design and the snowflake and the glitter give out the perfect Christmas vibe. 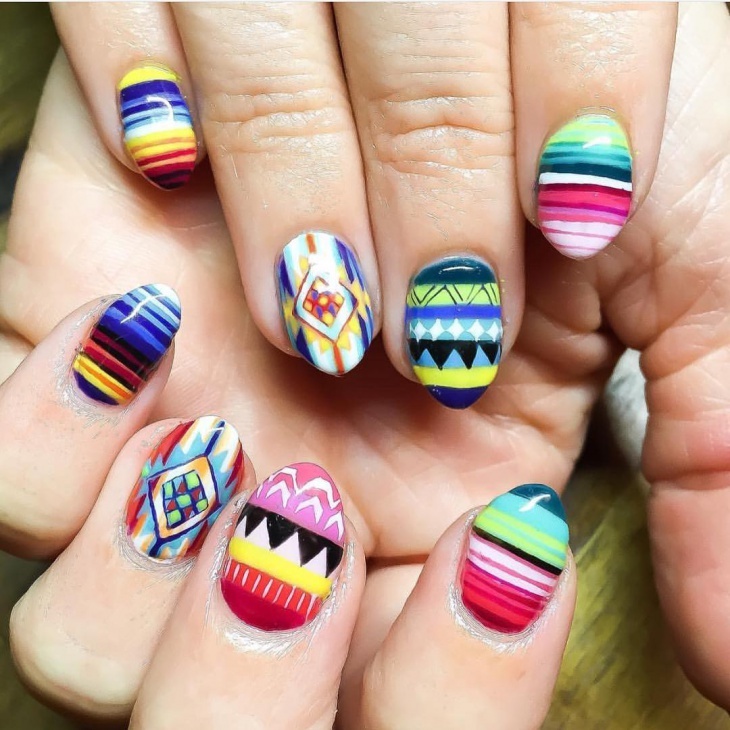 This is such happy nail art design to even look at. 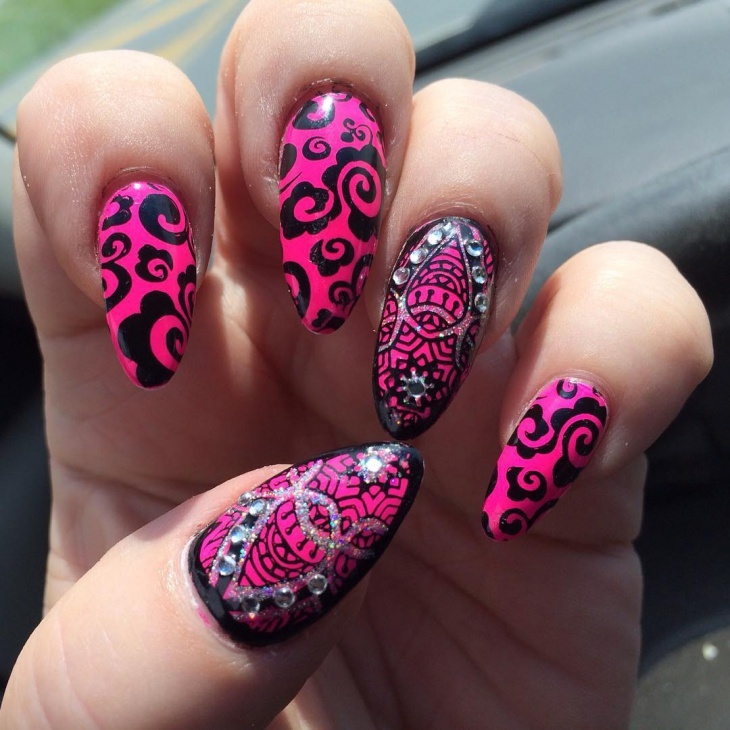 This is a unique design where you put rhinestones on your nails instead of nail paint. This is unique and will definitely grab some attention. This is our favorite blue from now onwards. Look at how beautiful this color looks. 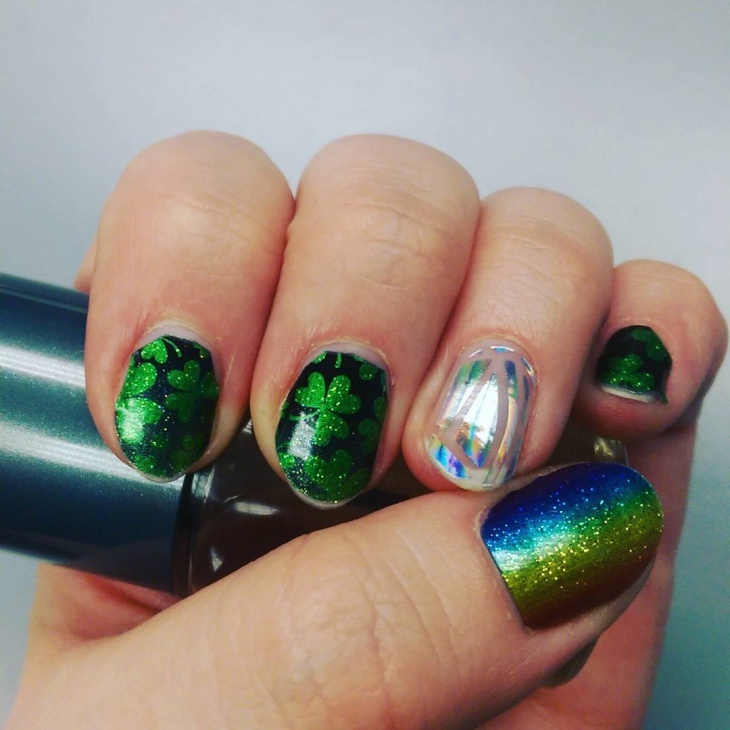 The snowflake and the glitter used onto the design makes it look nice and overall it is a perfect combination and this is a must try. All these designs are beautiful in their own ways. 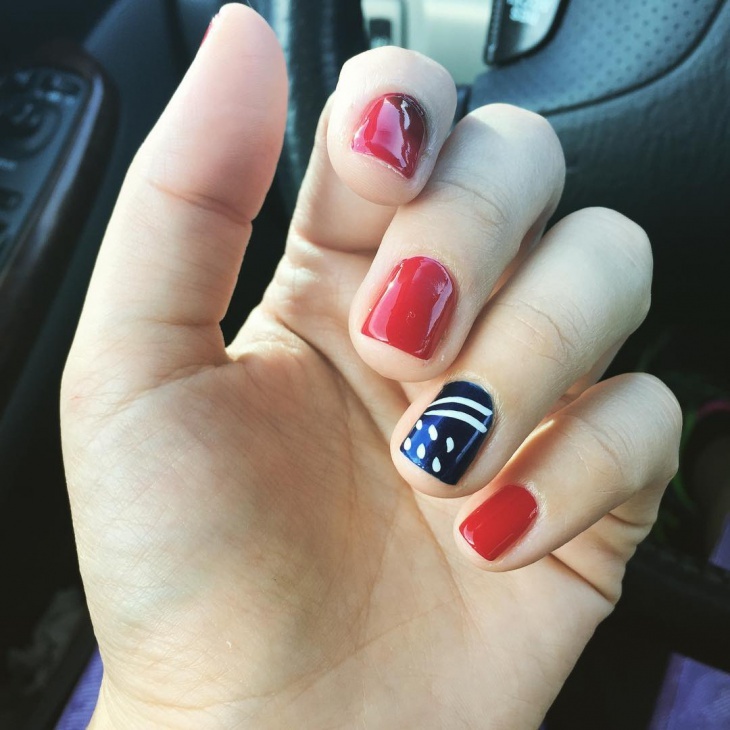 Don’t go out for any festivities without giving these designs a try.